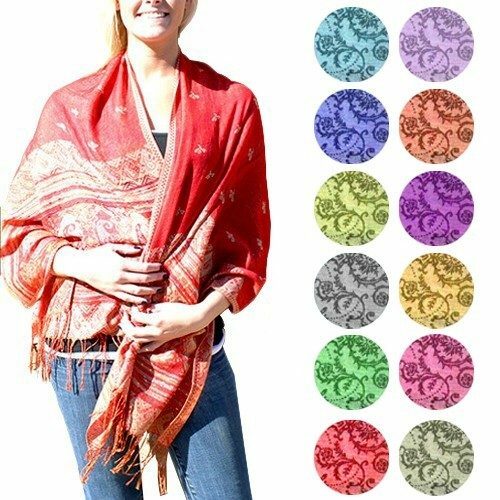 Luxurious Silk Blend Patterned Pashmina Fringed Scarves Only $7.99 + FREE Shipping! You are here: Home / Great Deals / Luxurious Silk Blend Patterned Pashmina Fringed Scarves Only $7.99 + FREE Shipping! Feel comfortable and look sophisticated in the cozy scarf that is soft and silky to the touch. Available in 16 different colors, find the perfect color combination that fits your personality with these Luxurious Silk Blend Patterned Pashmina Fringed Scarves. These Luxurious Silk Blend Patterned Pashmina Fringed Scarves Only $7.99 + FREE Shipping are great for a Spring evening coverup and to dress up any outfit!